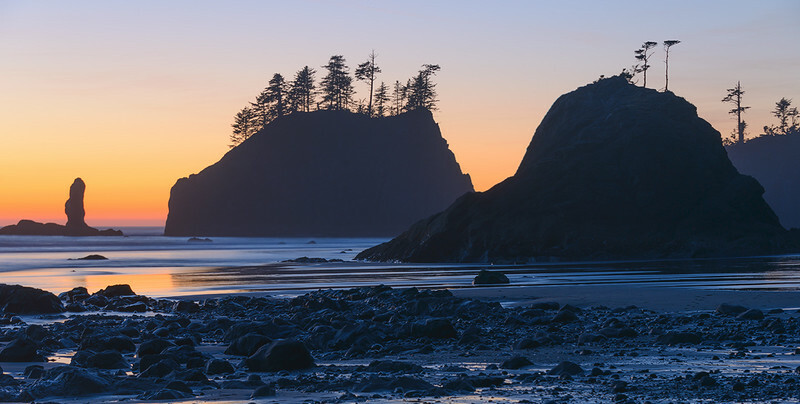 There are an endless number of beaches to explore in Olympic National Park. After months of scouting I have found some of the best locations to shoot within the park. We will be visiting these great photo locations through out the workshop. Massive sea stacks cover the coast and provide awesome composition opportunities.